You are at:Home»iPhone»Messages»Why Are Colorful Confetti Boxes In The Messages App On My iPhone? You open up a text message and a mess of colored boxes begins falling all over the screen. (If you didn’t think “Confetti!” the first time you saw it — well, neither did I.) 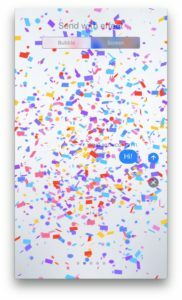 In this article, I’ll explain why colored confetti boxes have appeared in the Messages app on your iPhone and how to send iMessages with confetti on your iPhone, iPad, or iPod. What Are The Colored Boxes In Messages On My iPhone? The colored rectangle boxes in the Messages app on your iPhone are Confetti, one the new iMessage effects that Apple released with iOS 10. Why Is There Confetti In The Messages App On My iPhone? iOS 10, the new software update Apple released with the iPhone 7, contained a lot of changes to the Messages app. One of the most significant was the ability to send iMessages with effects. If you are seeing Confetti, you just received an iMessage with the Confetti effect. You’ll also see Confetti when someone says “congrats” in the Messages app on your iPhone. How Do I Send Confetti In The Messages App On My iPhone? Open the Messages app and type your message. Use your finger to swipe from right to left until you see the Confetti effect appear. 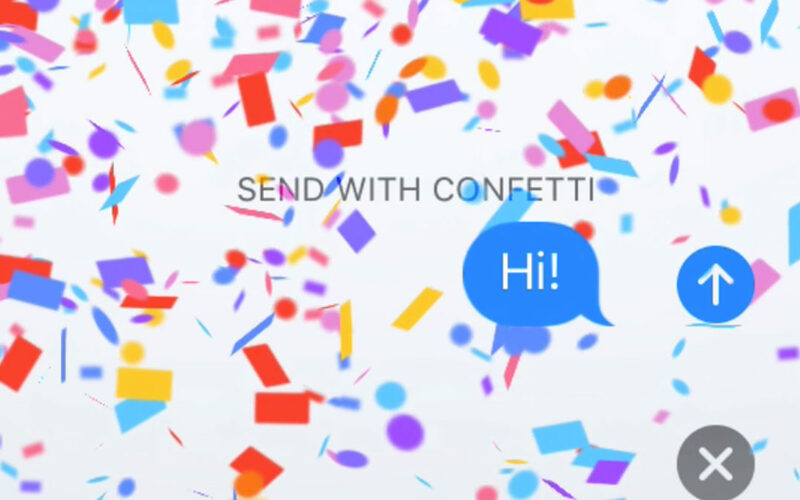 Tap the blue send arrow on the right side of the text to send an iMessage with confetti. Confetti Messages: No Cleanup Required! 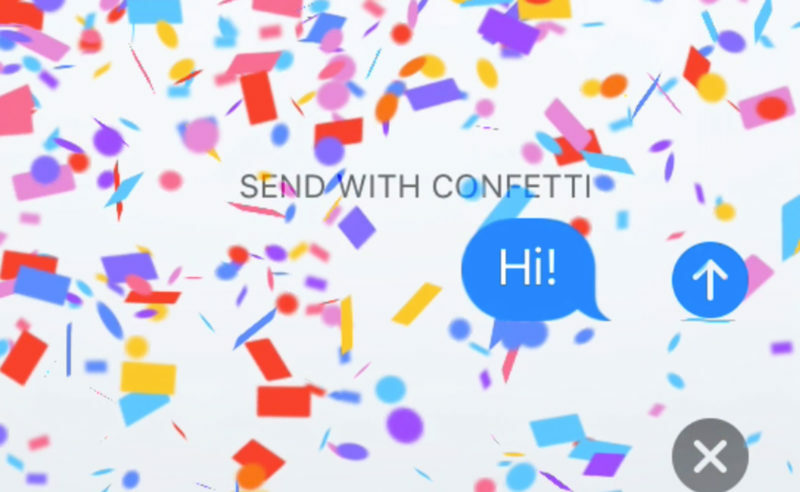 Now that you know how to send messages with confetti on your iPhone, iPad, and iPod, every message you send can be a party — and you never have to pick all those little pieces of paper up off of the floor. It’s good, clean fun from Apple. Feel free to leave a question or comment below, and thanks for reading! Previous ArticleWhy Are There Lasers In The Messages App On My iPhone? Next Article How Do I Turn Off Messages Effects On My iPhone? Here’s The Fix!